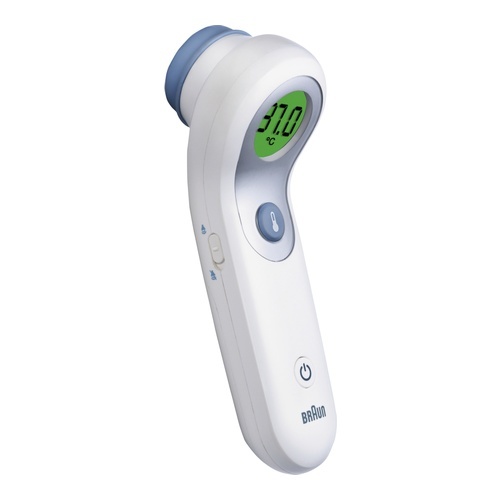 Braun No Touch + Forehead NTF3000 is a 2-in-1 thermometer to measure your child’s temperature in two different ways. Hold the thermometer close to your child’s forehead to avoid waking the child. It is also possible to measure the temperature in a more traditional way by placing the thermometer on the skin.